Weather alerts: Amber alert for high winds southern Ireland (now downgraded, see below). Yellow warnings for fog/ice Germany/Switzerland/Austria. Weather: Settled for much of Europe but bitterly cold in the East. Sunny and dry Iberia. Weather warnings issued for drivers in Ireland (winds) and Luxembourg (ice). FERRY AGROUND IN THE ALAND ISLANDS. FINLAND: A ferry ran aground early this afternoon at the entrance to the Gulf of Bothnia. No injuries are reported. The Viking Line Amorella hit rocks – “touched lightly” according to a statement from the company – at the Aland Islands near Langnas. There are 1945 passengers on board being served complimentary drinks and food, but no alcohol. Divers inspected the ship and found no damage, apart from a leaking ballast tank. The company says nobody is at risk. Amorella will be re-floated this evening and sailed to nearby Mariehamn where passengers will be transferred to other ships to complete their journeys. Update 15.12.13: Amorella made it into Mariehamn late last night under its own power. The ship ran aground apparently after a power cut. The investigation starting tomorrow centres on why backup generators did not kick in after the blackout according to YLE News. Lithuania – absolute weirdest story of the day. 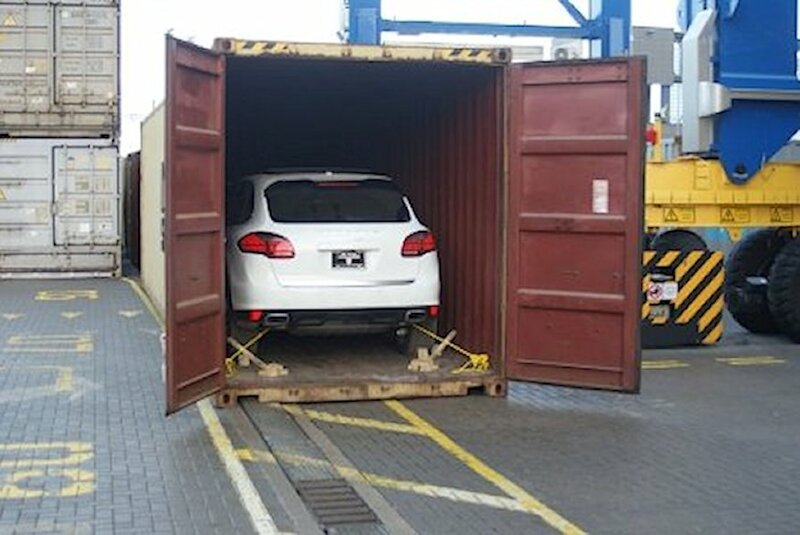 Customs officers in Klaipeda decided to investigate further after finding two ageing 4x4s inside a shipping container. According to the documentation the cars were en route from the US to Afghanistan. 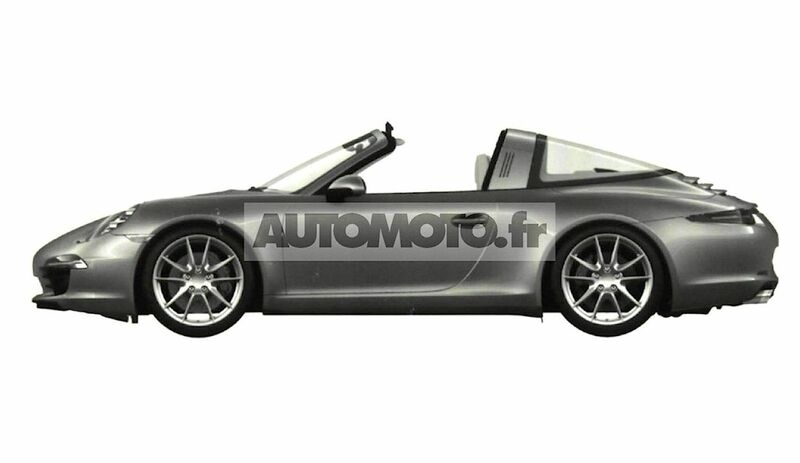 Further investigation revealed a brand new Porsche Cayenne and unspecified Land Rover, both reported stolen in America. Officials suspect an inside job. One person has been arrested. Picture courtesy of Lithuania Customs, www.cust.lt Update: around 200 cars stolen in Germany have turned up in Tajikistan, Central Asia, which borders Afghanistan. The cars were tracked down by German and Lithuanian ‘Westwind’ investigators using the vehicles’ GPS sat-nav systems and are all reportedly in use or owned by people connected with the presidency says thelocal.de. German coalition government approved in overwhelming party vote. 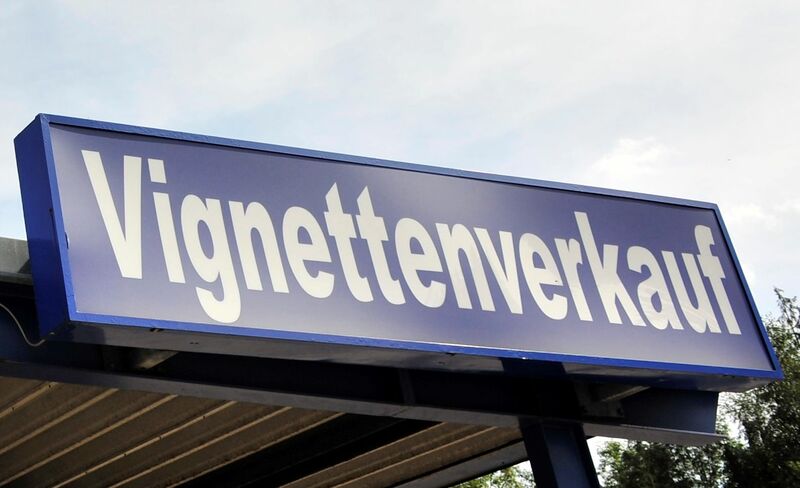 Vignette Shop: another word is about to be added to the German drivers’ essential phrasebook. Three quarters of SDP Party members have endorsed the deal with Angela Merkel to form the next German Coalition government. The overwhelming result includes approving the plan to charge foreign motorists using the country’s roads. Hopes now rest on the vignette falling foul of EU anti-discrimination laws. However, provisional approval in September by the EU’s transport commissioner – and a similar plan starting next April in the UK for foreign truck drivers – means this is unlikely. Apart from whether the vignette will apply just to autobahns or the entire German road network, the final detail to be settled is the cost. But based on the finely-honed typical German premium pricing strategy of charging a bit more than the customer is willing to pay, a bargain is not to be expected. update 15.12.13: Alexander Dobrindt, architect and champion of the ‘foreigner toll’, has been appointed Transport minister in the Coalition government announced this evening. His was previously Secretary General of the ruling CSU Party in Bavaria (the sister party to Angela Merkel’s CDU). A divisive figure, Dobrindt is a long time ally of Bavarian president Horst Seehofer and was responsible for developing the ‘foreigner toll’. He aggressively campaigned for the policy which gained an 88% approval rating in Bavaria, and became the CSU’s deal breaker in Coalition negotiations. Sections of the German press are now referring to Dobrindt as ‘Maut-Held’ – toll hero. POLAND. A traffic camera above a junction in Rumia – on r6 between Gdynia and Wejherowo – detected 16,300 offences in 42 days. None of the motorists will be prosecuted however because the camera was part of a research project on behalf of the GDDKiA roads directorate. ELECTRIC CARS. Two more free, high-speed Tesla Superchargers have opened in Germany bringing the total now to four – all in the west and south – plus the first in Switzerland, on the A1/E25 at Lully on Lake Neuchatel in the west of the country.